According to regulatory agencies, communication failure between doctors, nurses, and patients is the leading cause of medical and medication errors. Errors impact not only patient safety and patient care but also patient and staff satisfaction. How can a team of caregivers improve communication among their own team as well as improve communication with patients? Rounding can be an essential tool in ensuring communication is timely, accurate, complete, and clear. Here are three simple rounds that can help your organization get started with improving communication between caregivers and between caregivers and patients. Leadership/Direct Report Rounds: Using the data collected from leadership rounds, management can determine and communicate to staff the areas that require corrective action as well as communicate quality measures to the team. Communication includes both listening and speaking so it is important that management listens, responds, and acts to ensure communication does not stop or fall on deaf ears. Nurse/Hourly Rounds: It has been proven that caregiver presence with hourly rounding throughout the stay prepares patients on what to expect during their stay and after discharge. This has allowed for better response to call lights and concerns while also improving care. This includes proper medication management instructions to drive down medication errors. In addition, Nurse Rounds allow the team to identify early warning signs of complications or adverse events that could prevent a discharge or create a readmission. The impacts of hourly rounding have been proven to positively impact HCAHPS scores. 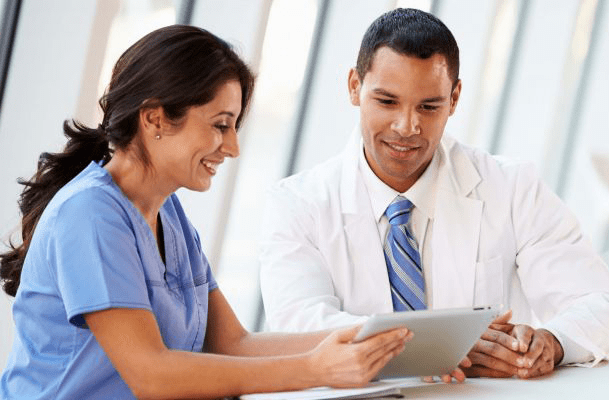 With a structured rounding routine, both leaders and caregivers can not only improve communication but also contribute to the efficiency, safety, and teamwork to address patient satisfaction. Using the data collected from a rounding solution, leaders can easily determine the areas that need correction or improvement, communicate these quality measures to the team and provide the resources and training necessary to promote learning and continuous improvement.